Me and my girlfriend are out renting movies the other night and she had never seen the Dudley Moore 80's movie Arthur and wanted to see it. I love that movie so we rent it and check it out. As the movie is winding down, it ends with the Arthur Theme song called 'Best That You Can Do' by Christopher Cross. Such a great song! Makes you feel like your on an island vacation somewhere on the white sand beaches of the Bahamas. Away from your problems and just relaxing away with an ice cold Bahama Mama or Corona. Anyways that song inspired me to do a post on movie theme songs written specifically for movies that I dig. It's funny how some of the real good ones get intrinsically tied with the movie in your head. You hear the song and bang you think of the movie. Anyways as I'm looking for other tracks to put for the post one of the finalists is 'Raindrops Keep Falling on my Head' which originally was written for the 1969 movie Butch Cassidy and the Sundance Kid. It's a song by Burt Bacharach and was his biggest world wide hit and even won the Oscar that year! You've probably also heard it recently in movies like Spider-Man in that scene were Peter Parker is all happy walking down the street. Anyways as I go to Wikipedia to read up on Burt I see that he also wrote the music for the Arthur Theme song! What a coincidence.... 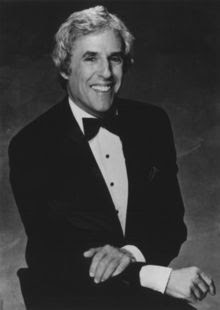 So instead of putting up cheesy movie tracks that I like I decided to make this a Burt Bacharach post instead and pay tribute to some of his great songs. Another track of Burts that helped him reach a newer/younger audience was his song 'What the World Needs Now is Love' off of the Austin Powers movie were he's playing the piano on the bus with Austin Powers introducing him while he's on his date. Love that! I hear he uses that Austin Powers intro to start off his shows. Ha just for fun here was one of the cheesy movie songs I was gonna put up! It's the Bee Gee's Grease Theme song that starts off and ends the movie Grease. Love this track and the movie! It takes me back to when I was a kid. They keep playing it on TV lately. Love the cartoon drawings that go along with the song intro too!